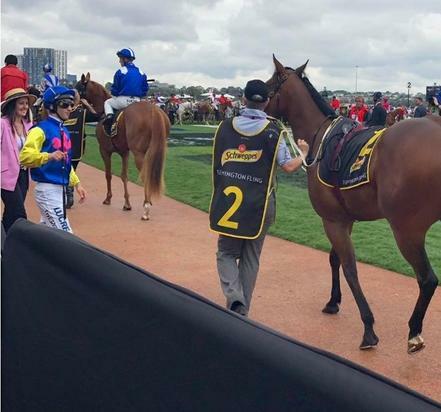 Heaven's Deal had her first look at Flemington on Melbourne Cup Day under the watchful eye of trainer Chantelle Jolly, and under the guidance of jockey Jake Toeroek. She ran a great race down the Flemington staight for a good 3rd. She never stopped trying. By all accounts, the owners who made the trip over had a great time. Congratulations to all the connections.